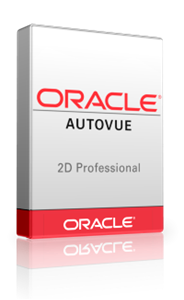 Oracle's AutoVue 2D Professional provides extended teams with access to critical project and asset information contained in 2D computer-aided design (CAD) and Microsoft Office documents. Its native document viewing, markup, and real-time collaboration capabilities deliver the foundation for an efficient document collaboration process. Users can digitally communicate and track feedback using a single solution and streamline communication throughout the project or asset lifecycle, maximizing productivity and completing projects faster and within budget.